سواءً كنت مسافراً بغرض السياحة أو العمل, MGSM Executive Hotel هو خيار عظيم للإقامة خلال زيارتك سيدني. يمكن من هنا للضيوف الاستمتاع بسهولة الوصول إلى كل ما تقدمه هذه المدينة النابضة بالحياة. يشكل هذا الفندق ملاذاَ مريحاً للاسترخاء ويمنح زواره فرصة للاستجمام والتجدد، وهو يقع على بعد خطوات من المعالم السياحية الكثيرة للمدينة كمثل: لاني كوف, ماك كواري سنتر, Midway Family Medical Centre. إن الخدمات التي يقدمها MGSM Executive Hotel تضمن للنزلاء إقامة مريحة. إن خدمة الغرف على مدار الساعة, واي فاي مجاني في جميع الغرف, خدمة التنظيف يوميًا, خدمة سيارات الأجرة, مكتب الاستقبال على مدار الساعة هي جزء فقط من الخدمات التي تميز MGSM Executive Hotel عن باقي الفنادق في المدينة. بالإضافة لهذا,تتضمن كل غرف الضيوف مجموعة واسعة من وسائل الراحة . بعض الغرف توفر حتى تلفزيون بشاشة مسطحة, اتصال لاسلكي بالإنترنت, غرف لغير المدخنين, مكيف هواء, تدفئة لإرضاء أكثر الضيوف تطلباً. كما أن مجموعة الخدمات الواسعة الموجودة في الفندق لضمان راحتك تترك لك الكثير من الخيارات لقضاء وقتك أثناء فترة إقامتك. يشكل MGSM Executive Hotel بخدماته الراقية وموقعه الممتاز، قاعدة مثالية للاستمتاع بإقامتك في سيدني. I was seriously disappointed - the room was spacious and clean, but thats where the positives ended. Compared to the Travelodge which is closer, this really is NOT a hotel. It's on campus accommodation. If it were half the price, it would be a different matter. But it is expensive on-campus rooms. Parking is about 300m away (closer if the building between the 'hotel' and the parking are open) and painful to get to and from when its raining late at night. This is not on my 'put me down for next time' list. I'll stay elsewhere thanks. Close to Macquarie shopping centre - easy to walk. Lovely views overlooking the lake and the wildlife. Staff were very helpful and changed our room when air conditioner not functioning. Getting a little old, but rooms kept clean and bed comfortable. No pool and the gym is limited. Price. Room well presented. View from room overlooking the lake was beautiful. Staff helpful and friendly. Complimentary car parking appreciated. Water leaked from shower, wetting bathroom floor. The newspaper room with tea and coffee is a great place to relax. Hotel ground is very picturesque. The hotel may consider updating the in room kettle and hair dryer which are very old and worn. Heating was not working. In room temperature hovered around 17/18 degrees in the Australian winter. We have stayed once before. We are from Interstate--we had family matters to deal with at this time---your location--fees---dining/breakfast facilities, assisted greatly. We must especially mention the kind -interested- lady who runs the office from late afternoons to early evenings. I am sorry, not to be able to quote her name. But--she called us by name when ever we engaged her. An excellent trait. Her assistance is MOST appreciated. We were in an unfamilar Sydney location---here advise with transport is especially, appreciated. A young fellow in the Breakfast area is also to be especially, recognised. The Coffee` machine was not working--the young man sought fresh -hot-coffee`s for us, from an adjoining facility. He was most courtious and attentave. We thank him for his considerations. These are two excellent and valuable front line contact staff, members. We apprecioate their efforts. 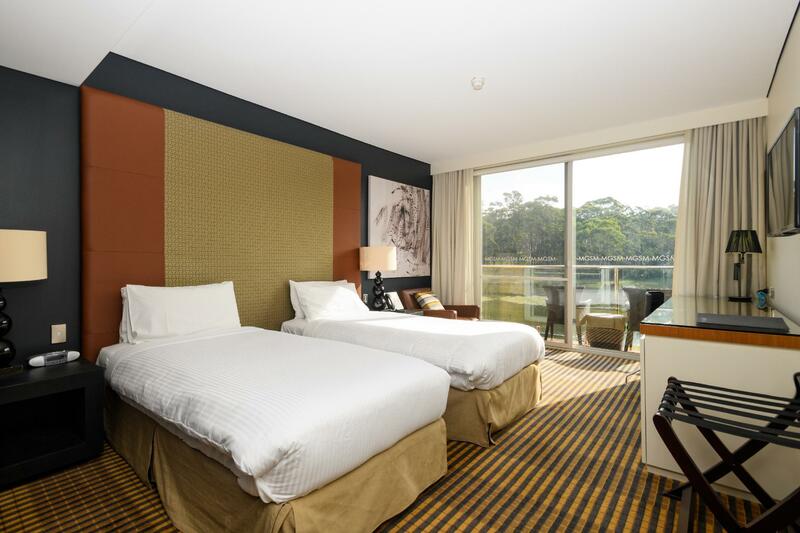 We booked MGSM not knowing its actually the in-campus accommodation for Macquarie's University's Graduate School of Management. Took the train from the airport down, while the journey was enjoyable.. I would say the distance isn't ideal. Took us a good 2h to reach the hotel, not counting the long walk with our luggage through the uni campus. The McQ mall has ample amenities for you to shop and eat & even catch a film. The staff is courteous and room services are excellent. Be sure to leave early (min 3 hrs ahead of time) if you plan to commute via train back to the airport! When I tried to set air conditioner to 23 rather than 20 was initially told that 20 degrees was the facilities "standard". Problem only solved when manager showed how to increase temperature through tricky push and hold button. 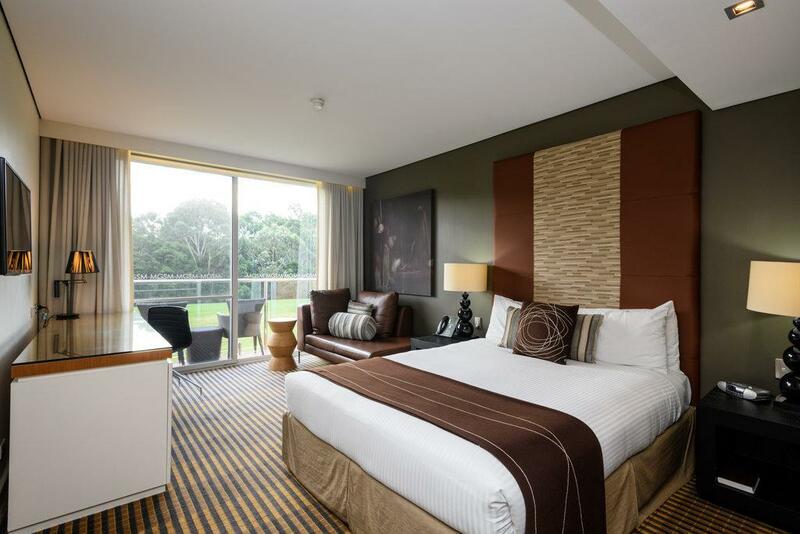 Good clean room close to big shopping mall Macquarie shopping centre, reception friendly got late check out .. thank you. Great service and clean rooms, the location wasn't central but close to a major shopping centre. I had stayed just 1 night at this hotel first time and it is so nice to choose this hotel. Breakfast is good! Back yard is huge! Bathroom is enough! We stayed at the MGSM Hotel for one night before driving north. The room itself was fine, bed comfortable and with a nice outlook to fields . We even had a friendly visit to the back door by three well fed, white ducks. The only negatives were that there was no lift to the lower floor so carry luggage was hard, and the car park being over 100 metres away and this was rather awkward for older guests at night. I was saddened to have two bad sleeps whilst at the hotel due to the noise levels of everyone's entrance doors. They are all very loud. The cleaners start early too, so this added to the noise. No sleep in after 7:30am for me :( Room service knocked on our door at 9am on a Saturday Morning whilst getting changed. Too early sorry!! I have stayed twice at MGSM now while accompanying my daughter to courses at Macquarie Uni. The accommodation is perfect for this purpose. It is basic in that there's no gym or bar etc, but we don't need those things. The rooms are clean, modern and quiet, with a beautiful natural outlook and it's perfectly situated to access the Uni. we had a good stay here... check in was smooth. if you dont already know this hotel is part of the university and hence within the university ground. nothing for free not even the water.... sorry carpark was for free :) clean and quite rooms... morden and small. We had room 203 which overlooked a pond and bush, small balcony and very peaceful considering how close to busy roads. Hotel looking a bit tired with balcony railing rusting out in places, room clean and comfortable. Staff very helpful, good off street parking. Would stay here again. It was a pleasant stay. We got our bags secured in the hotel's library during our check out time before we depart to the airport. Although it is a public place, we found that it was a secure place. The room is notging sophisticated, but all the facilities worked well. A renowned Macquarie Mall is a walk-distance away from the hotel too, so we did not have any troubles finding food during our stay. Peaceful location, clean & comfortable, free wifi & parking. Had never heard of this one before and was very pleasantly surprised. It is a little bit difficult to see from the road and looks like a conference centre rather than a hotel, but the rooms are very good. Some people have said they are small - I din't notice that, they are not huge but are fine, well-furnished and comfortable. It was very clean. Free wifi and parking. Batteries in tv remote were nearly dead, hardly worth mentioning. 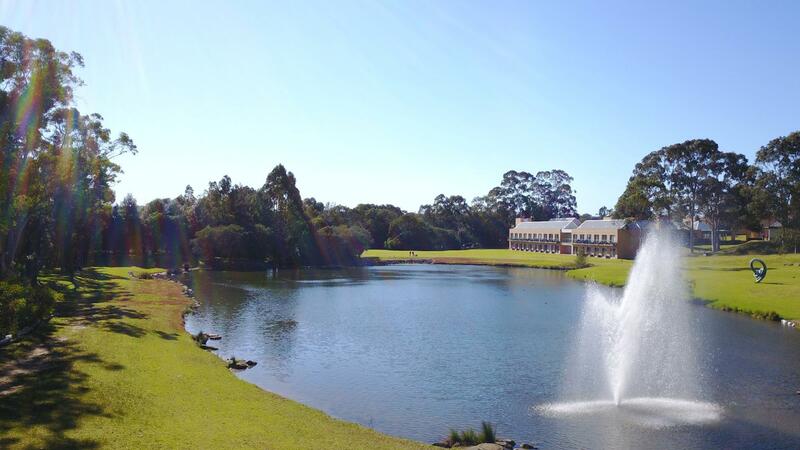 Overlooks lawns and a small lake, is very close to parks, walking tracks, bike paths, playing fields, and is in the grounds of Macquarie university. Short walk to Macquarie shopping centre.